Hope your having a wonderful week. It’s been busy for me, with being off of work, my work e-mails have been insane. Monday I had 175 e-mails, most junk mail, but about 60 of them of actual work. Yuck! I think I made it through most of them. One thing though, it makes time go fast. The weather hasn’t been very nice here in Northern California. It’s been so foggy and in the mid 40’s, which is crappy! On the news tonight they said tomorrow were suppose to have up to 70mph winds! I am not ready for this! I can’t complain to much since I lived in Buffalo most of my life. Hows the weather where you live? Since we have had so much cold weather, I call this my comfort food time. A nice, hot, filling bowl of soup and of course a side. 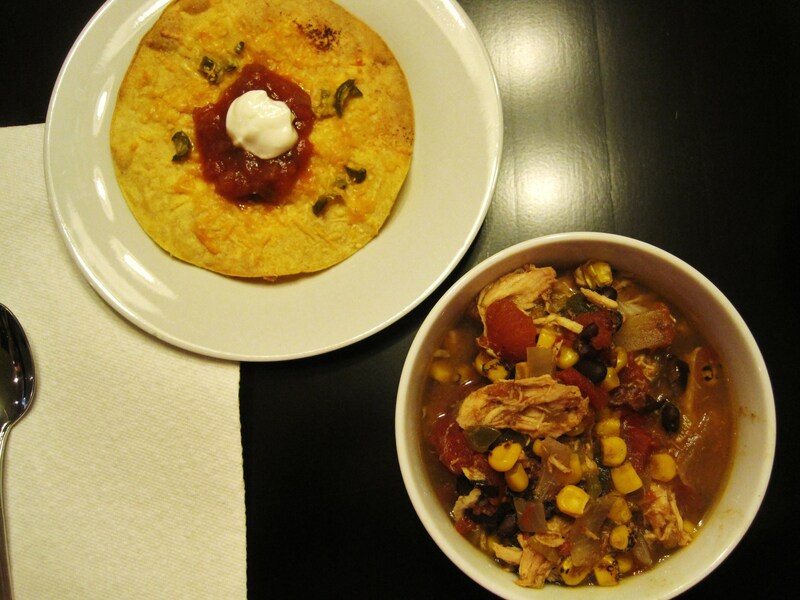 Today I made my Southwest Chicken Soup in the Crockpot, with a side of baked tortillas. I wanted some sort of bread to go with my meal, and I wanted something with spice. 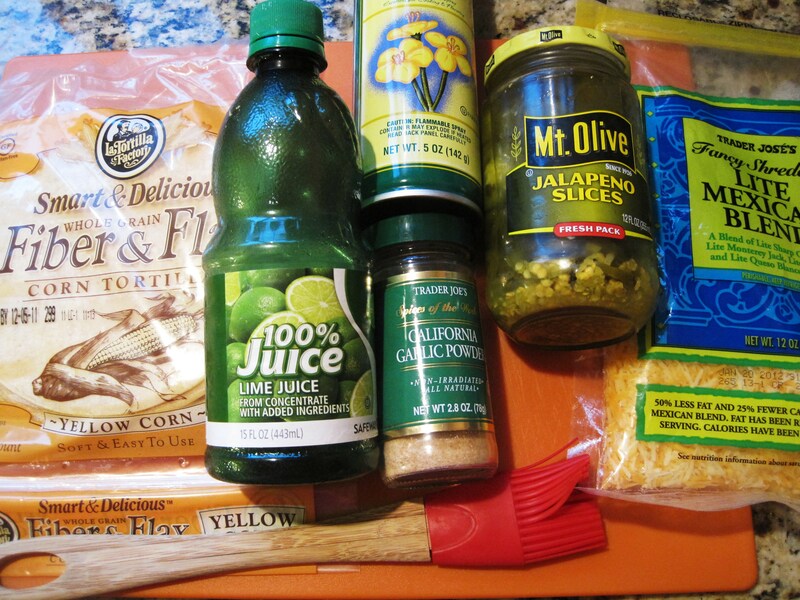 I was thinking jalapeno cheese bread, but then it means more work. I wanted something quick and easy, so I came up with these babies!!! 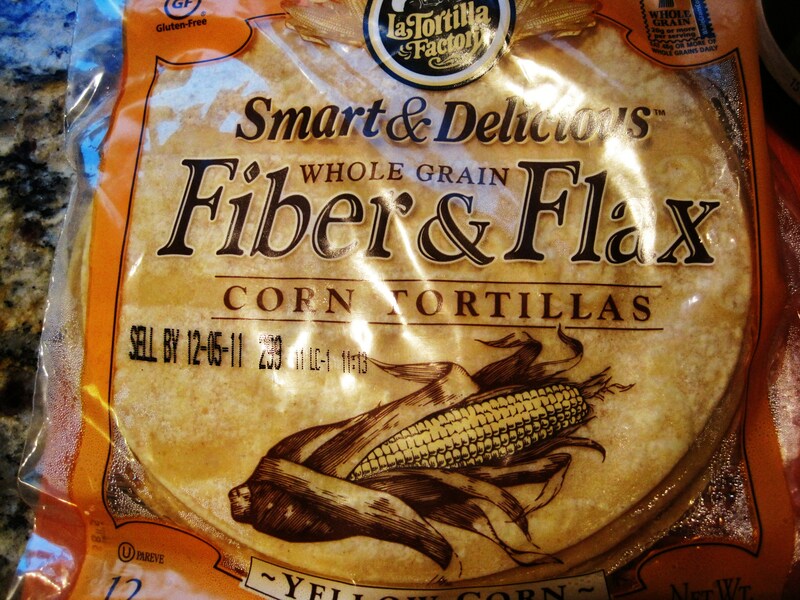 I was in the grocery store and I saw LaTortilla Factory Corn Tortillas with High Fiber and Flax. I knew I had to try them. Listen to these stats. 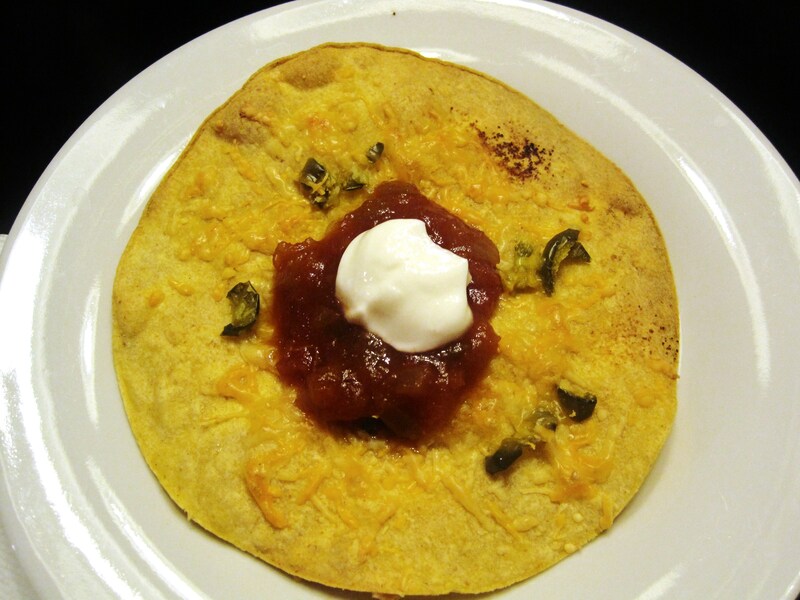 2 Tortillas, Calories: 90, Fat: 1.5, Sodium: 15, Carbs: 21, Fiber 5, Sugar: 3, Protein: 2. Pretty awesome! They were really good. I checked for at there website and there not there, this must be a brand spanking new product? 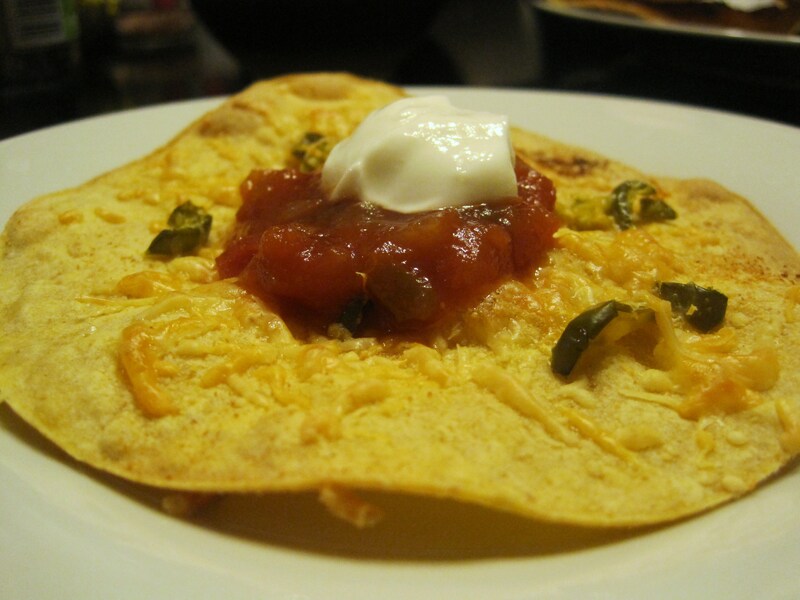 This recipe is so simple, you just need tortillas, lime juice, cooking spray, pickled jalapenos, garlic powder and cheese. Thats it! So simple. 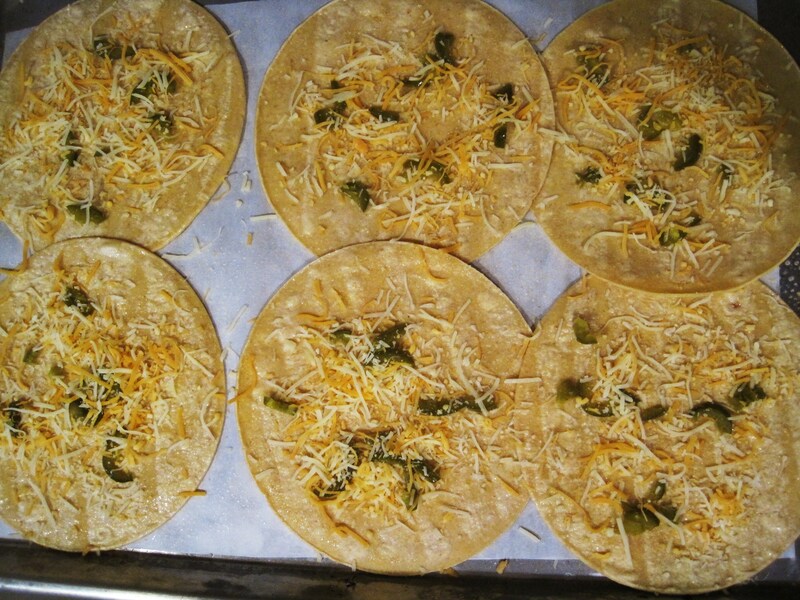 Preheat oven to 400, spray tortillas with cooking spray, brush with lime juice, sprinkle with garlic, add jalapenos and cheese. Bake for about 10 – 12 minutes. Just watch that they don’t burn. Serve with Salsa and Greek Yogurt and of course a hot bowl of Southwest Chicken Soup. Sorry for the yellow picture, I hate our lighting in the kitchen! 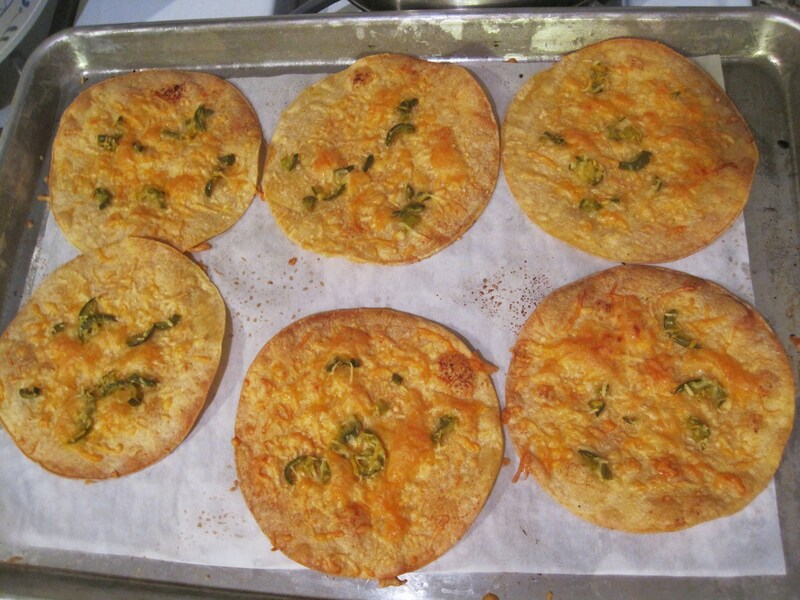 Top with a Sprinkle of Garlic Powder, Jalapenos and Cheese. I just love Mexican type food, it’s my favorite. Anything that includes hot sauce and peppers, I am all over that. What’s your favorite kind of food? 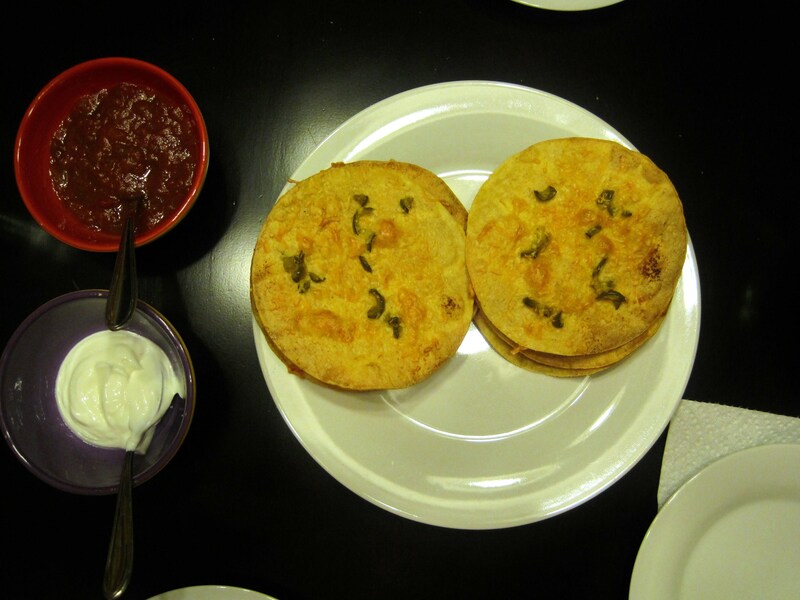 We’re in the middle of a warm streak here in the northeast, but that’s about to end..so I think I need to spice it up with these tortillas! These look so tasty and simple. I’m going to try this. Thanks! It has been windy here also. As long as it blows in the direction away from the house, no more leaves to rake! Glad to see that there are some corn tortillas out there infused with some healthy ingredients. The toppings you added sound like they are enough to satisfy the southwestern craving but keeping the fat intake fairly low. Thanks for sharing!